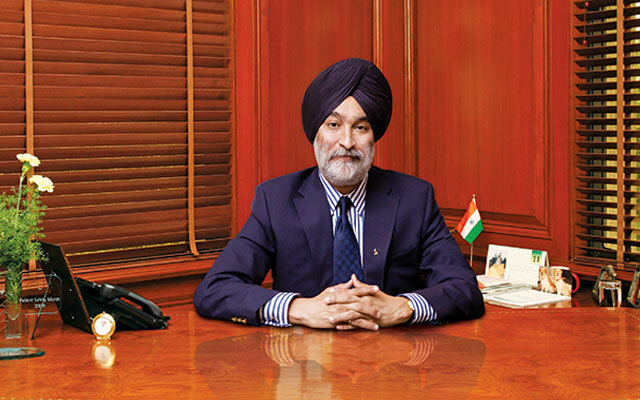 Billionaire Analjit Singh-controlled diversified firm Max India Ltd said on Monday it has received approval from the Punjab and Haryana High Court to split into three listed companies. Max India will be renamed Max Financial Services Ltd following the demerger and will become India's first listed company with life insurance as the sole business, the company said in a stock market disclosure. The company's life insurance unit is Max Life Insurance, in which it holds a 72 per cent stake and where its joint venture partner is Japan’s Mitsui Sumitomo Insurance. Shares of Max India jumped as much as seven per cent in morning trade. The shares were 3.5 per cent higher at Rs 513.65 in early afternoon trade on the Bombay Stock Exchange where the benchmark Sensex was 0.5 per cent higher. Max Financial will likely trade ex-demerger in January, and the other companies -- Max India Ltd and Max Ventures and Industries Ltd -- in February. The new Max India will manage investments in the healthcare and allied businesses. It will have three subsidiaries -- Max Healthcare, Max Bupa and Antara Senior Living. Max Ventures will manage investment in the group’s manufacturing subsidiary, Max Speciality Films. “The court order has been a critical penultimate step towards the conclusion of the much awaited restructuring… We are seeing a significant amount of investor interest and shareholder confidence in all the listing entities,” said Mohit Talwar, deputy managing director of Max India. The company had applied for approval for the demerger in January this year. It has already got approvals from the Securities and Exchange Board of India, stock exchanges as well as the Competition Commission of India. After the restructuring, Max India’s existing shareholders will retain one share of Rs 2 in Max Financial. They will additionally get one share of Rs 2 each of the new Max India for every one share held in Max Financial, and one share of Rs 10 each of Max Ventures for every five shares of Rs 2 each held in Max Financial. The company has sought approval from the Foreign Investment Promotion Board to issue the new shares, the statement said. The Max Group had a total customer base of 7.5 million, nearly 300 offices across India and 17,000 employees as of March 31, 2015. Analjit Singh holds a 40.5 per cent stake in the company while other major shareholders include Goldman Sachs, Temasek, IFC and Fidelity.